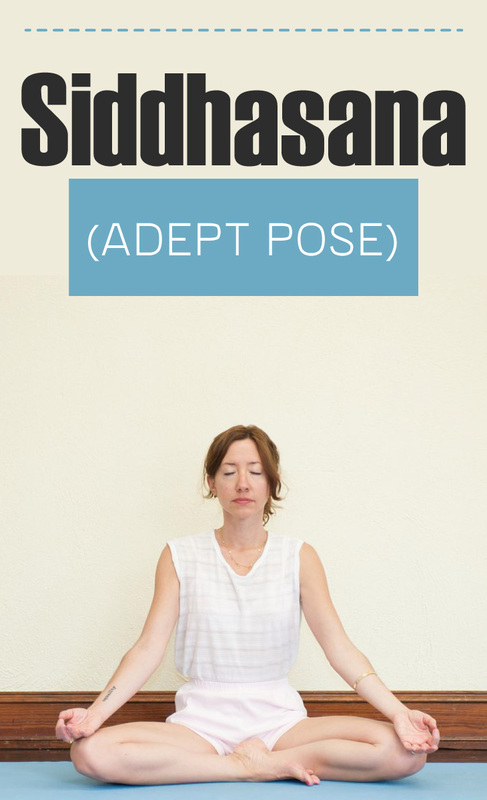 Adept Pose or Siddhasana is the most renowned technique for concentration. In Sanskrit “Siddha” stands for “accomplished” or “adept” for one who attained the bliss and awakening kundalini power. The name Siddhasana itself resembles the accomplishment of entirely serene mind. Here we showcase some steps for how to do Siddhasana and obtaining Siddhasana benefits. Following are the steps for how to do Siddhasana with proper practice and approach for achieving its specific benefits. It is one type of seated pose in which one have to sit on mat by bending his left leg from knee. Now grab the foot with the help of hands for placing the heel just underneath of Sivni Nadi or Perineum. By doing this one will be in position of sitting on left leg’s heel. After this bend right leg to place right foot on left such that both ankles are in touch with each other by putting right ankle on left one. Now keep both your hands on knees such that palms are facing in upward direction just like Gyan Mudra of Padmasana Pose. After that close both eyes and sit calmly for concentrating on mind as much as possible. It is advisable that one should not overdo it and practice it till one feels comfortable and easy. Once the practice increase gradually then one can remain in same posture for more than ten minutes. Siddhasana benefits you to make the flow of vital energy from Muladhar Chakra to Sahasrar Chakra. It helps you a lot to increase concentration power. It is most useful asana for maintaining balance between mind & body. It also benefits you for curing piles, hemorrhoids and other sexual diseases.